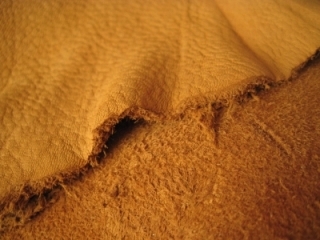 The deerskin has very long history and it has been used for 1300 years in Japan. In the evidence, there are some treasures used deerskins in Shoso-in, Todai-ji Temple. Surprisingly, most of them still have its flexibility. Our company was established in 1883. We specialize in producing deerskin with more than 135 years of experience. In the beginning of the business, we stocked untreated domestic deerskins, tanned to white skins and sold for “Tattuke.” (Knickers bockers) As the company progressed, we imported rich deerskins from overseas to obtain abundant raw materials.While Kendo was added in the junior high school curriculum and became popular sports, the use of automobiles had spread in Japan. The deerskins were used for making protectors of Kendo and general martial arts, and also used as wipers of automobile windows (Chamois leather). As armaments prospered, the uses of the deerskin increased more and more. They were used for pilot clothes, airplane’s gasoline filters and so on. We have produced deerskin materials which are suitable for the needs of the time. Now, our deerskins are used for apparel in general, shoes, bags, furniture, sports goods, high-quality cloth, car supplies, Buddhist alter fittings, Kendo protectors, Martial arts protectors, Japanese archery items, musical instrument utensils, and any other use. 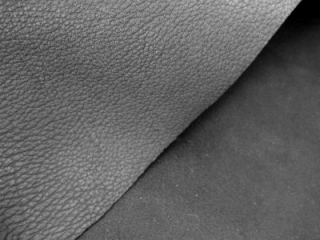 Furthermore, we always seek for new fields in market.We have a goal to develop in new fields making use of deerskin’s characteristics and variety. 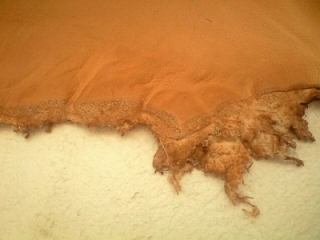 We focus on research and development of Ecology tanning leather and tanning techniques which can deal with environmental problems. At the same time, we devote our energies to aiming further quality improvements of existing commodities.